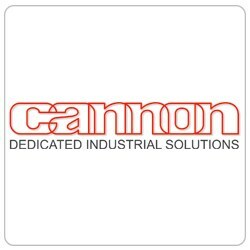 Cannon is an international Group supplying worldwide a wide range of industries with dedicated engineering solutions. Founded in the early 1960’s to manufacture dispensing machines for Polyurethane foams, Cannon has soon reached - and maintained - the leading position in its market and extended its field of activities to other fast-growing sectors of the industry. Cannon offers today a wide range of products and services to industrial manufacturers: in addition to a complete range of plants and machines for processing of Polyurethanes and polymers (manufactured in Europe, USA, China and Japan). The Group supplies equipment for Plastics Processing Technologies (for Polyurethanes, Composites and Thermoforming), Steam & Water Solutions, Industrial Electronic Controls, and solutions for the protection of the Environment. Our revenues exceed 250 Million Euro and we have a team of more of 1.100 employees worldwide (40 countries), with 29 legal entities. We believe that investing in people is the best way to ensure the achievement of our business goals and to be able to create value for the Group in the long term. > Internationality (=local presence): we have an increasing presence worldwide, with sites close to all our main customers, with which we share culture and language. > Innovation: we invest 5% of our turnover in R&D. We filed more then 350 patents in 40 years. > Independence: to give our people freedom to act fast, we are independent from raw material suppliers, Financial Istitutions and Industrial Corporations. > Integrity: we operate ensuring the best respect for all our relationships throughout the supply chain. We are always recruiting new young people and our job opportunities are open to all motivated and enthusiastic, flexible and effective, innovative and intercultural oriented, individuals capable of tackling a project and seeing it through to the end. What we offer is a wide range of opportunities, from internships and entry-level openings to experienced individuals in mid-career positions.